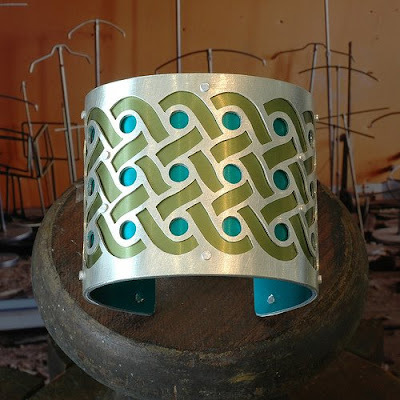 These beautiful bracelets are the work of New Orleans' own Gogo Borgerding, an exceedingly talented artist and jewelry designer. 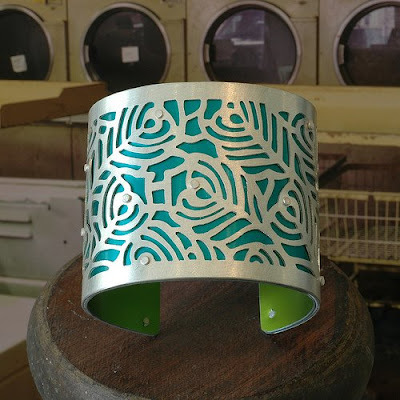 I am very happy to say that she has a wonderful shop located just a few blocks away from my own where she shows and sells her wonderful creations! 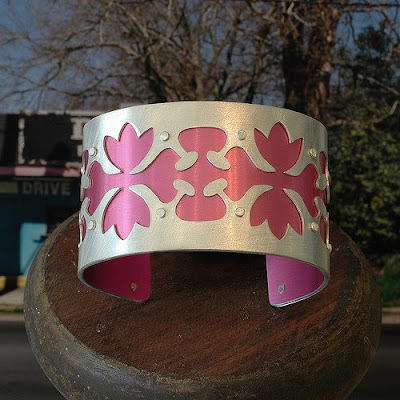 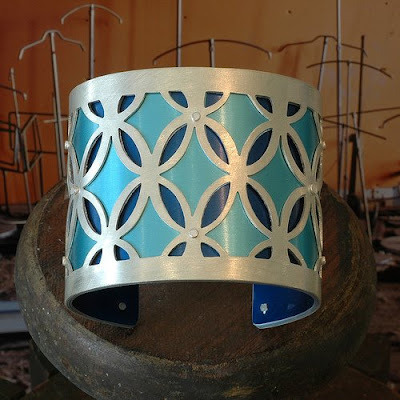 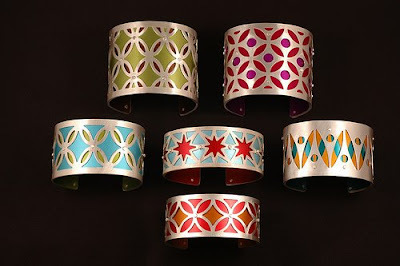 I think Gogo is most well known for her amazing collection of cuff bracelets which she designs and creates herself. 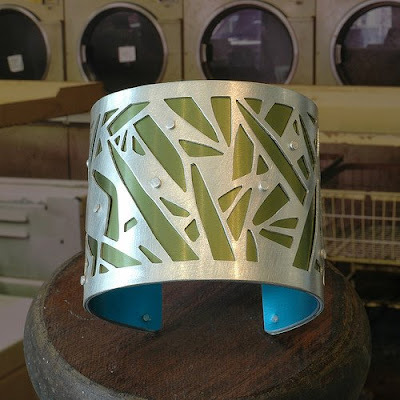 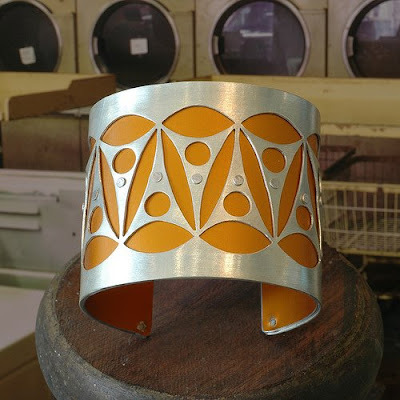 I am in awe of both her design talent and her skill as a jewelry craftsperson. 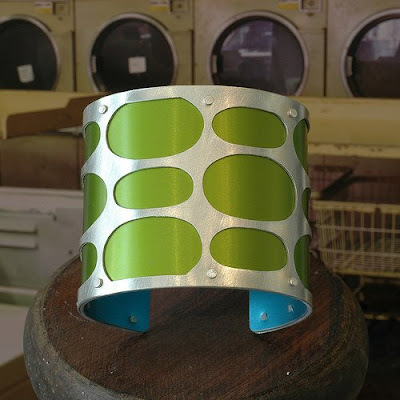 Gogo's talent is not limited to her bracelets, however. 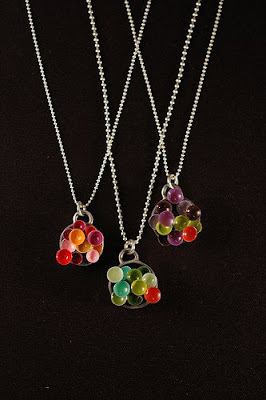 Her necklaces, earrings and rings are also outstanding.She calls this necklace "Lantana Gone Wild." 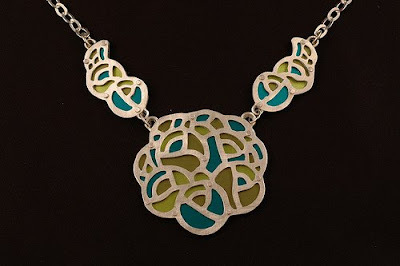 Here are some other pieces from her Lantana collection. 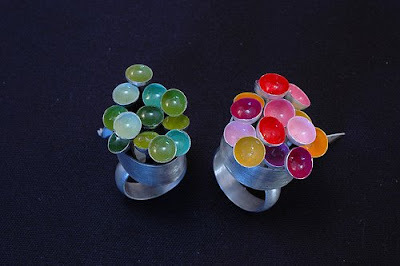 I love her Lantana Rings! 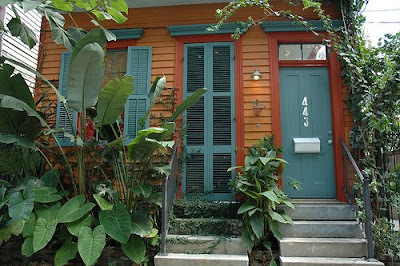 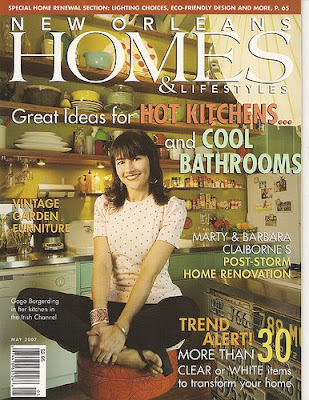 Gogo was recently featured on the cover of New Orleans Homes and Lifestyles. 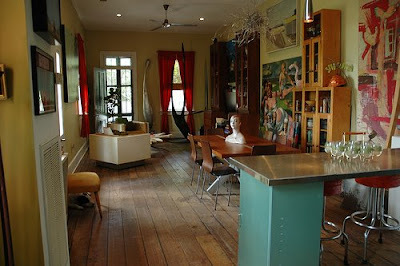 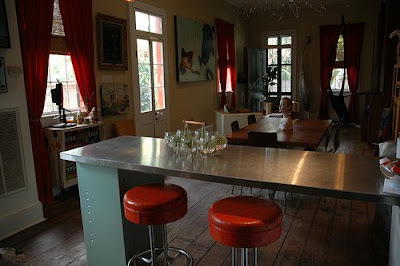 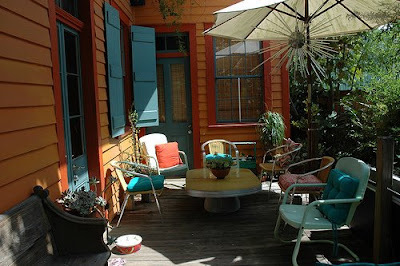 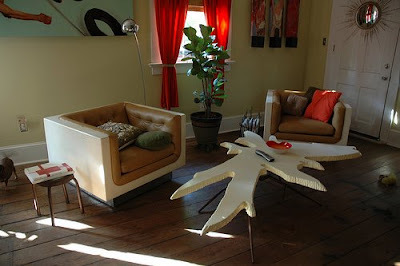 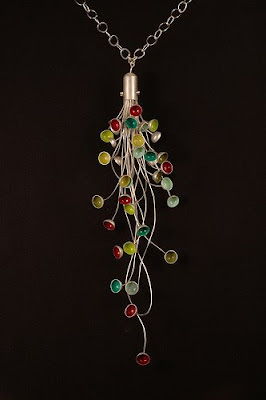 Her house, which she shares with her husband David, a metal sculptor, also reflects her individual style. 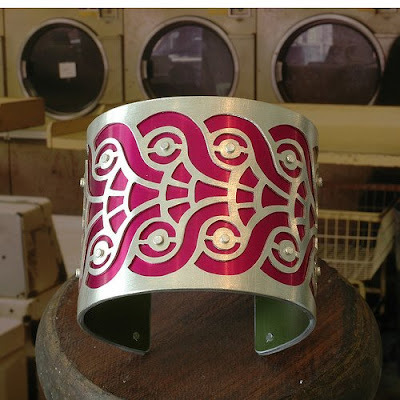 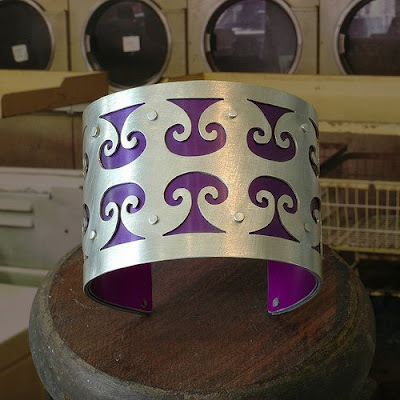 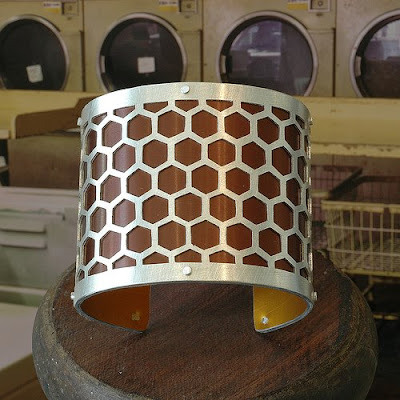 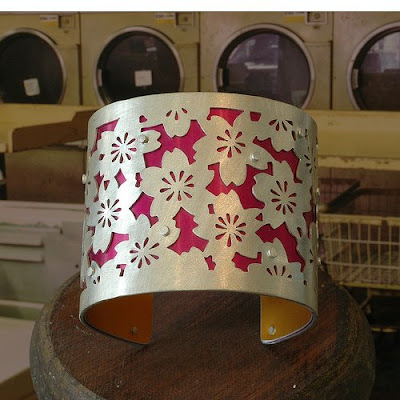 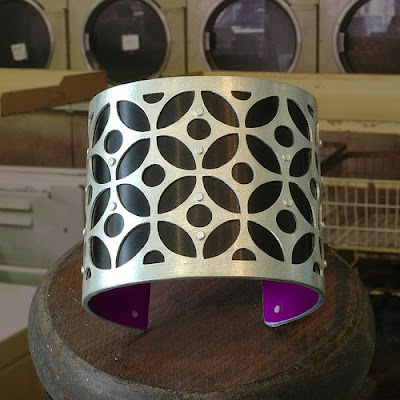 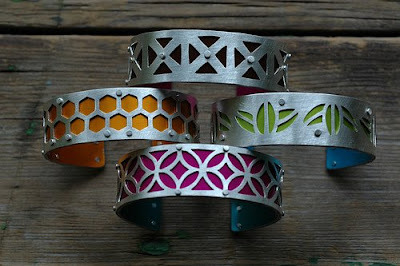 Gogo's cuff bracelets show such a talent for pattern and color that I couldn't narrow it down to just a few, so here are several of my favorites. 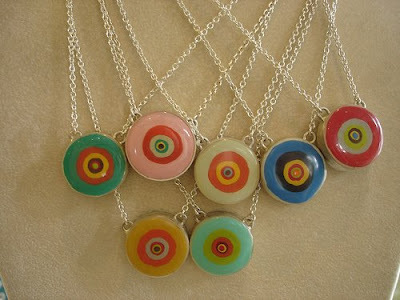 Her necklaces are as beguiling as her bracelets. 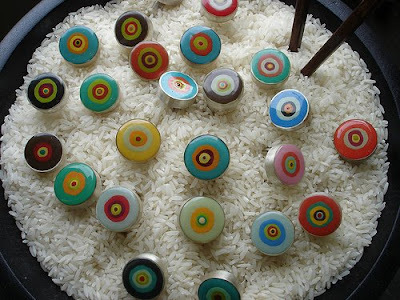 I'm crazy about her way with color, and especially with the delicious colors she uses in her "Sushi" collection. 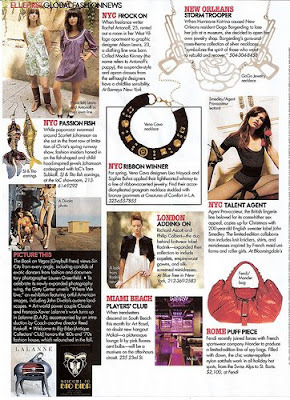 Gogo's "Guns and Roses" necklace was included in a feature in Elle magazine. 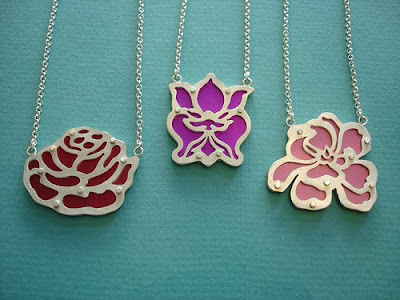 She created the Guns and Roses necklace as a tribute to the spirit of those dedicated to the rebuilding of New Orleans following Hurricane Katrina. 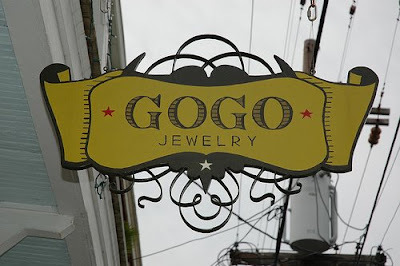 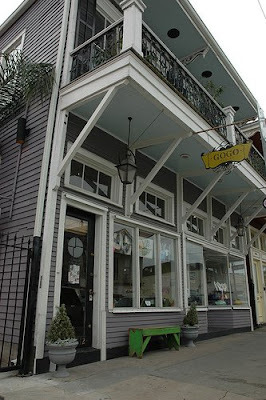 More information about Gogo's creations can be found on her website or by visiting her shop in person at 4212 Magazine Street, if you find yourself lucky enough to be in New Orleans.